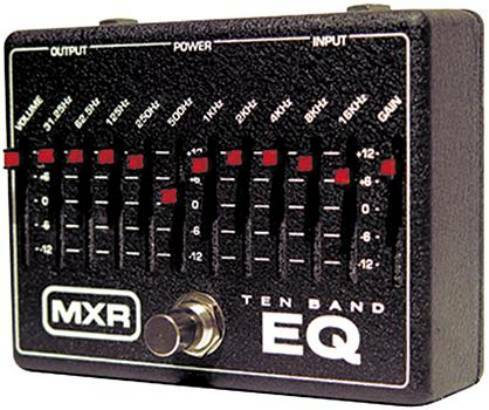 MXR - M-108 Ten Band EQ (ext) - 10-band EQ pedal, now with bypass footswitch and Gain control. MXR108, M108. Search Web. Official product page. "Equalizer - The GE-7 has seven bands ranging from 100 Hz to 6.4 kHz, ideal for guitar sounds, with boost/cut of 15dB per band. 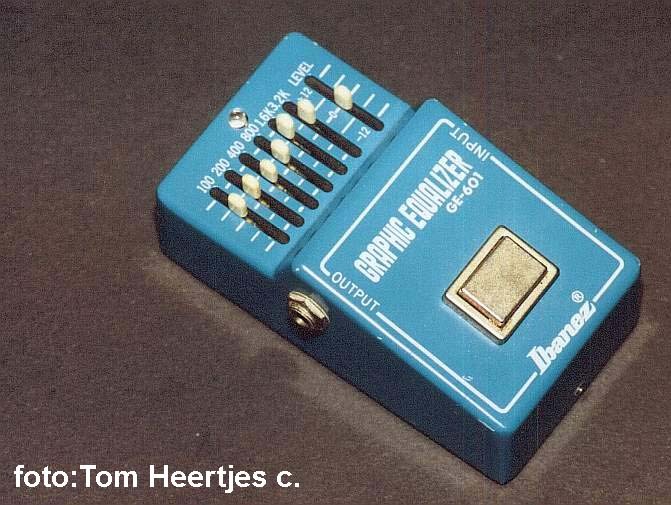 This lets you completely control your sound and eliminate unwanted feedback, particularly when connected after a distortion effect." Has 3 bands and a control for the mid freq. http://www.gtrfx.com/gtrfx -- online buyers guide dedicated to guitar effects. effects previews and reviews in the FX VAULT . FX SETTINGS (http://www.rocktrax.com): how to set up your effects chain and settings for some of your favorite players. After ruminating on the thin-or-flabby dilemma for some time, he posted a couple of messages theorizing that, somewhat like Jim Marshall later implemented in his high-gain line of amps, if one were to realign selected portions of those bass frequencies before hitting the gain stages, one could get good, smooth distortion, and then the bass control could be turned up without adding flabby bottom. Gil's set out to achieve these results without the need for amplifier modifications, and eventually came up with the box that pulls off this trick, called Smooth & Slim. The distortion on the Boogie immediately became way smoother, to the point where the amp didn't sound, well, distorted. And, because I could now run up the bass without flabbiness, I recovered a good deal of the bottom end I had been losing all those years. The amp started singing with a very cool sweetness. I got really excited and spent some time comparing the tone of the amp through the Smooth & Slim and Santana's "Europa" sound off the Moonflower disk. Now, that's a great guitar tone without a doubt, but I could still hear a little raspy edge to his distortion, whereas mine had all of the good stuff, but none of that objectionable rasp. Another bonus was that I could now use my single-coil Fender Stratocaster and make it sound great as well -- Strat users are probably very familiar with the rather shrill tone that results when using these guitars in conjunction with Boogies set for overdrive. Is the Smooth & Slim for everyone? Probably not. There are lots of players who like a raw, edgy distortion, and quite a few who are perfectly happy with the clipping a stomp box delivers through a Twin. Hey, whatever's cool. On the other hand, if you're a player who likes the smooth, sweet sustain featured on Abraxas, or if you lust for a smoking Dumble Overdrive Special, to take just two examples, you owe it yourself to try out the Smooth & Slim. There are quite a few decent high gain amps out there that the average picker can latch on to for not too much green, and, with the addition of the Smooth & Slim, he/she could find him/herself in Tone Heaven quite inexpensively. > The 100k tone pots will load a normal humbucker. The series resistors (10k?) in the original circuit, but they will help to lower the Q of the notch and prevent abrupt phasing around the center point. >>The Lucille/ES-355 is just another bright-sounding Gibson with humbuckers if you put in 500K pots instead of 100k/300K for volume/tone. For a guitar used more by Jazz players, the darker sound makes sense, and those pot values are also used on Heritage's H-555, albeit with very dark Schaller humbuckers. My schematics show a 100K resistor in series; confirmed by Don Brosnac's ref "Guitar Electronics For Musicians." He lists the Varitone pots as 500K, so it's likely that Gibson has experimented with the values over the years and reverted to the 100K/300K combo that I found in a 1990 Lucille. Brosnac's book is a terrific reference. > Not sure if my schematic specs the value for the inductor, but that's a tough thing to find. Probably need a few Henrys (not milli or micro) to react at audio freqs. >>Brosnac lists 1.5H, but I'm probably misrecalling the '79 Gibson schematic as 3.0H. > Active circuits could be done easily without the inductor. DigiTech MIDI-controlled rack-mount graphic EQs ($440) - can put one of these on either side of a mic'ed, low-power tube amp. Don't touch the controls on the tube amp. Use the EQs to make the tube-amp sound programmable. Bartolini - various onboard preamps with active EQ. Controls pre-dist EQ for distortion voicing. NTMB18: 18-volt preamp. Bass, mid, treb. Switchable mid (250 hz - 1kHz). Call for quote. RFX940 Solo EQ. 8-band EQ pedal, 2 level sliders, + 15 dB per band, headphone out. DOD FX-40B 7-band graphic EQ pedal. $120. I have this. 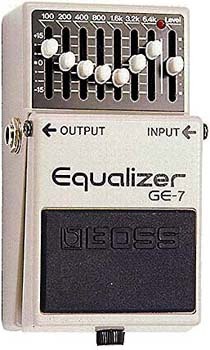 BOSS has a 7-band eq pedal I use. 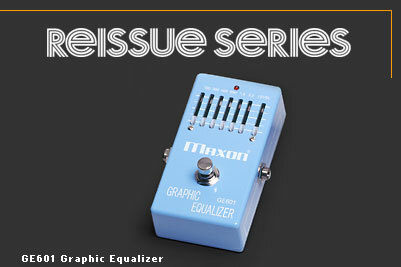 Ordinary EQ pedals really aren't quiet enough to use before distortion. Best is rackmount, MIDI-controlled (Digitech makes these; I have a contact and brochure for that). L.R. Baggs - Para Acoustic DI/EQ. [might be for piezo pickups only??] $198. Outboard preamp with 5-band parametric eq, tunable notch filter, fx loop, and gain. $198. Furman Sound has many eq's, but are they MIDI? 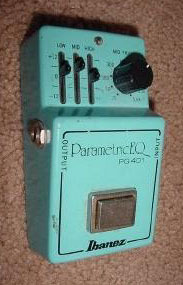 For example: PQ-4 $379. 4-band parametric eq, rackmount. 20dB boost. Torres Engineering - Super Midrange for Guitars - $14. Prewired variable midrange control. Chandler - Tone X. Active mid-boost circuit with push-pull pot, like a wah pedal at your fingertips. Fits most guitars without modification. 9volt. $80. Ad page 141 GP Oct 1992. Push-pull wah circuit that replaces the guitar's tone control and uses 9v batt. On Tin Machine's Oy Vey Baby album, Reeves Gabrels uses it for on-command singing feedback, honking resonant solo boosts, and classic british wah effects. Chandler's address in that old ad is: 370 Lang Rd, Burlingame, CA 94010. (415) 342-1490. Reeves says, "Tone X puts that elusive sweet spot at your fingertips." Griblin Engineering - Custom Wiring Harness. Pre-wired strat-style harness with Rio Grande, Van Zandt, or Lindy Fralin pickups. Advanced midrange, Woman Tone, volume control with treble retention, 5-way switch, pickup covers. $239-279. Active pickups and onboard EQ enable higher frequencies to hit the amp. Austin - Brush the dust off your boots and get ready to plug into one awesome Overdrive pedal as the Austin Gold joins Rocktron's pedal family. A superb blend of light overdrive that enhances, without changing, the sound of your favorite amp. Unique to the Austin Gold is its "Pre-Bass" control... eliminates problems with too much "fuzzy" bass, or the opposite problem of being a weak and thin sounding overdrive. 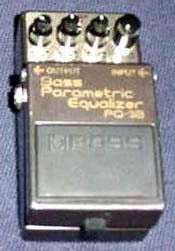 With the Pre-Bass control, many overdrive textures can be exploited. It's almost like having an entire arsenal of various overdrive pedals in one, by simply adjusting one control! With its simple control layout of "Drive", "Pre-Bass" and "Level", the Austin Gold is very simple to use. By adding a maximum of 30dB of gain, it will not overprocess, but instead will add an entirely new dimension to your amp setup! Review.